ODESSACARD is the first Ukrainian tourist service of the European standard of type City Pass. 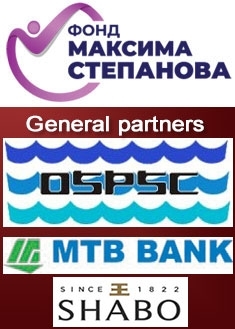 ODESSACARD - tourist card, which is designed to save finances for tourists and guests of Odessa. Conducting a visitor to Odessa - "Pearls by the Sea", by the most significant and vivid sights of this historically rich and beautiful city. The ODESSACARD tourist card is an NFC card which includes free visits to a number of the best tourist objects in Odessa for a total amount of more than UAH 4,000, while the card itself does not exceed 1/8 of that amount. In addition to free entry and services, the tourist card also works as a discount in a lot of establishments in Odessa, which can be useful both to the guest and the resident of Odessa. The tourist card ODESSACARD has a validity period of 1 year, during which period you can activate it at any convenient time and enjoy all the list of services from the FREE zone - saving a significant portion of your vacation budget. All objects from the DISCOUNT zone provide discounts throughout the year, repeatedly, regardless of activation of the card. What is included and where to save with a tourist map of Odessa? The set of tourist cards includes a booklet guide to Odessa with a detailed map and a list of all the places where it is possible to use the tourist card. Come to Odessa, rest and save with ODESSACARD!